G G Chitnis beat Military school and entered the finals of the on going Royston Memorial Football tournament. In the 2nd semi final St.Pauls beat St.Xaviers by 2 goals to 1 in a nail biting match. St.Pauls had taken a 1-0 lead in the first half but in the 2nd half Xaviers came back with only a single attack and scored a goal. 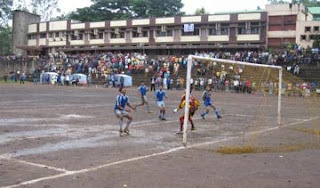 Then the St.Pauls team tried hard and at last succeeded in hitting the goal No.2. The St.Pauls goalkeeper took them to victory with some glorious saves in the dying moments.